The Good News Review revisits the unique relationship of “big cat” cubs and “big dog” puppies being raised together in zoos. 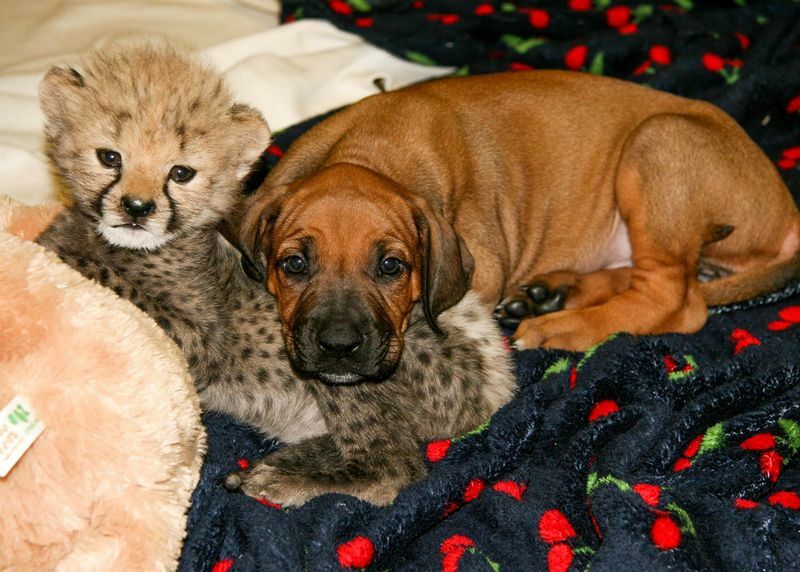 This time a cheetah cub, abandoned by his/her natural mother, has been paired with a Rhodesian ridge-back at the San Diego Zoo. So far the two are getting along famously. Both are being hand raised until they are old enough to interact with visitors.